｜Cyber Monday Upload Sunday Nov. 27 @ 7:30 pm PST. A few exciting new products uploaded tonight. 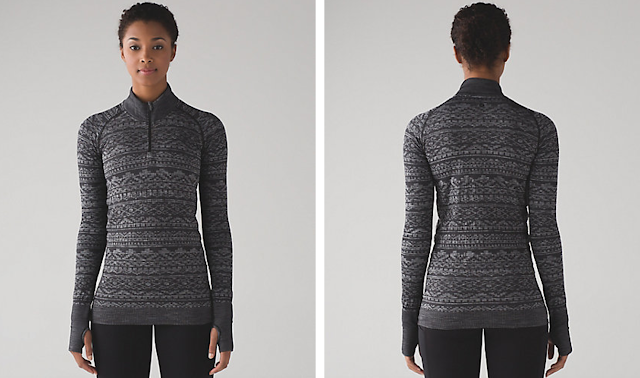 I’m really liking the Fair Isle printed Rest Less Hoodies and Rest Less 1/2 Zips. 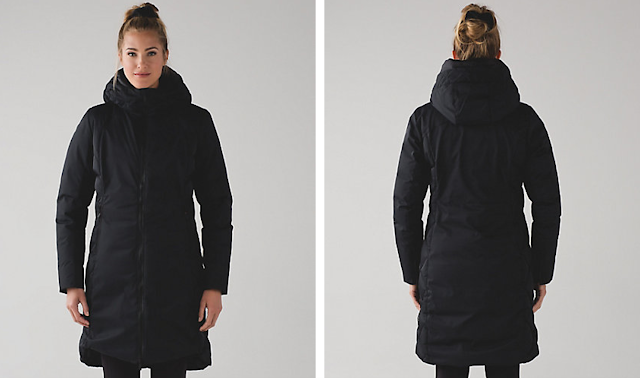 The Fluff Parka is nice, but for that price I much prefer a Mackage coat. 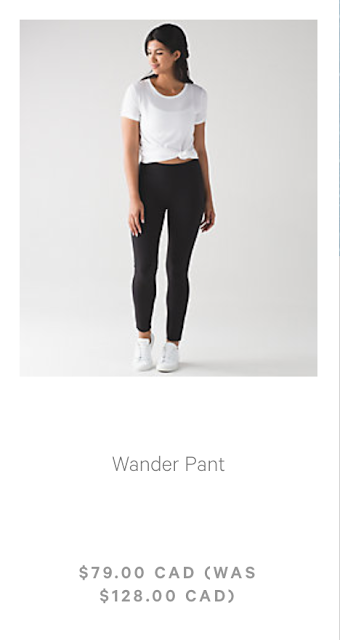 Thats just not a price I would pay for a Lululemon winter coat. I was truly tempted to get the splatter print Outrun LS since I really love my teal one I got a few weeks ago, but I’ve decided to hold off on another one until Boxing Day. And I really chuckle now when I see Mini Sweatr Print because a reader referred to it as The Bill Cosby sweater print, and now that is all I see. Did you guys buy anything? What have been your WMTM Black Friday/Cyber Monday finds? 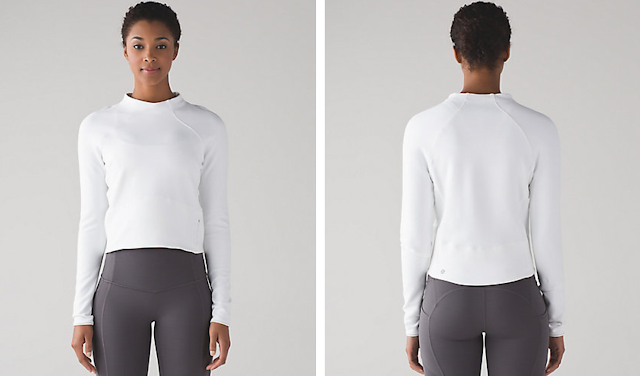 I’m really surprised we didn’t see the Sattva Sweater marked down online, in fact, the replenished the grey and black at full price. I’ve got both the black and blue one marked down from stores. 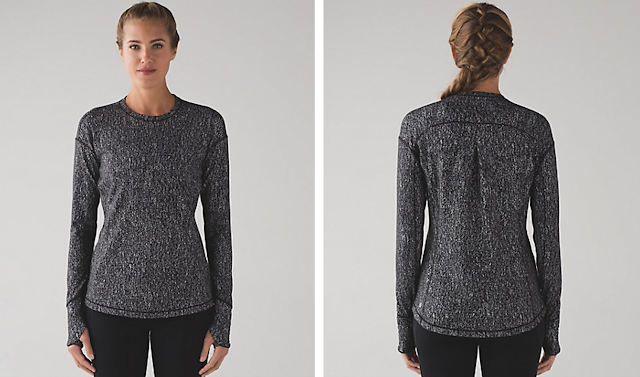 If you can find one in stores marked down I highly, highly recommend the sweater. I’ve been living in mine. I was also hoping and expecting to see the Embrace The Space Hoodie but I think I have to bite the bullet on that one full price at some point. Although store inventory is very high on those so good chance we will see them marked down for Boxing Day. My WMTM Picks from both the US and CAD site. These are items that would tempt me but I did not purchase. My sale purchase for Black Friday was the Sculpt Jacket which I’m quite happy with and I found was a great deal for $69. I was tempted to get the light grey one when it uploaded this morning but hesitated and sold out. I find the prices so funny for WMTM. 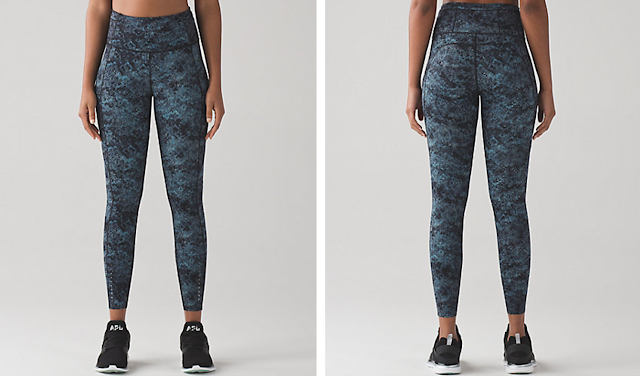 The Florence Print NULUX tights have been marked down in stores and I swear I saw it on WMTM on Black Friday, but now it’s restocked at full price online. 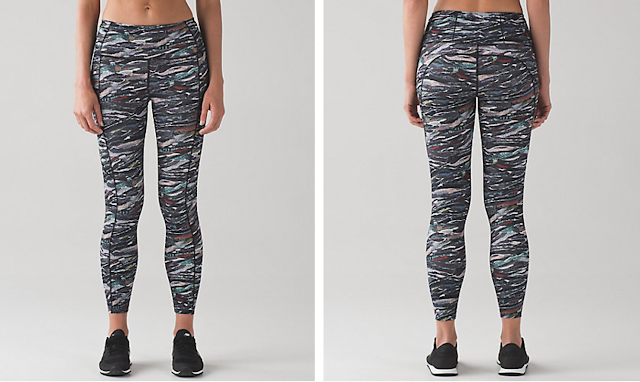 The Like Nothing Tights where either $19 or $29 at the US outlets but they got cleaned out of inventory already. Online they are just barely marked down. I also found that while my store was sold out of product when I first looked around, they had product stashed in the back that they where frequently replenishing and have been throughout the entire weekend. 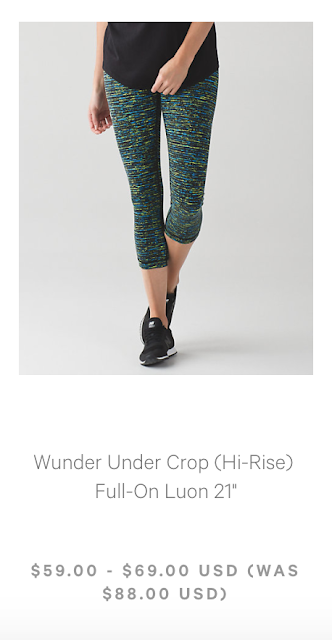 "Wunder Under Pant (Hi Rise) Nulux Plume White Black｜Featherlight Tight"
"Hill And Valley Mock Neck, Fast And Free 7/8 Tight Fairisle and Sweatr, Speed Shorts in Fairisle and Sweatr Print, Iridescent Wunder Under Pant Nulux, Break Free Kit"
SNORE….My wallet used to be stretched so thin by Lulu….now its too full! I got cash to burn and everything is just same old same old…. I agree. I want the special details and patterns that were once Lulu. I actually ordered some Vimmia and just received it…I absolutely love every piece I ordered, and the prices were insanely cheap on Nordstrom Rack/Hautelook! The items have the special details I have been seeking, and the fabric was opaque, true to size, and felt great! Did they upload the wrong gray Rest Less PO? Went to check out and all sizes out of stock. Or rather, the wrong picture? The one on the US side is the same pattern as the coral. Love the new parka! Price is steep but it is an item I don't buy every year. Love the quilting pattern on the sides. I just wish that they had more of the features listed such as if it has a 2 way zipper, cuffs, etc. I ordered the Heathered Black Rest Less 1/4 zip, I love the print, I also ordered the Outrun PO Hero Blue/Black, I tried this on last week and really liked the fit and would have loved the Alberta Lake one but my size was sold out. 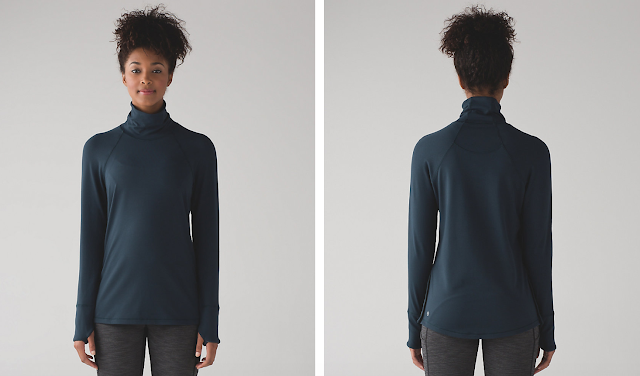 I also bought the Hill and Valley Turtleneck in the Nocturnal Teal. This is the most I have spent in a long time. 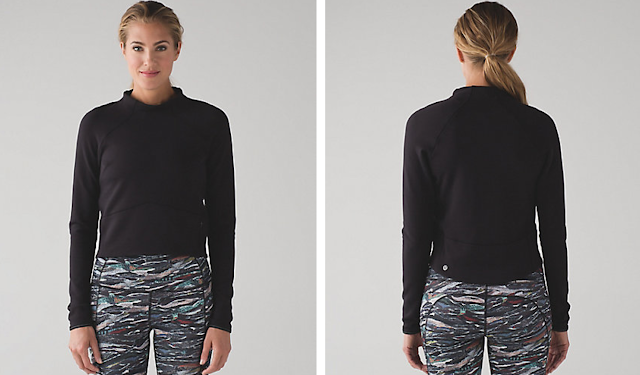 Got the heathered black rest less half zip and pullover, two of the sherpa fleece hats from last week, and a bra. I hope the rest lesses (sounds funny, haha) fit well! They are adorable. Black Friday was a joke. just like any other regular WMTM. I only got the vinyasa scarf for $29. I was ready to buy more stuff but could not find anything else to order. Pretty much normal. They've never "done" Black Friday in the traditional sense. Boxing Day is their big upload sale day. I ordered the Run With Me gloves from WMTM because I always need running gloves but that's it for now. I am super tempted by the Energy Bra in the Fair Isle print so we shall see! I wonder if they would be too big for my 8 year old. 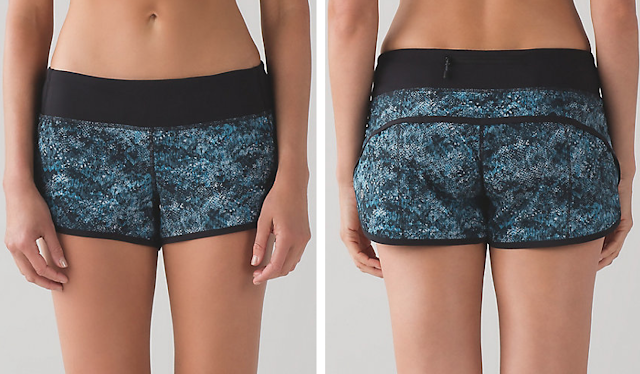 They would be perfect for her outdoor soccer games through the winter. I have fairly small hands but not eight year old small. I feel like they might be too big. They are the perfect weight for that sort of thing. Yay that you used the ebates. you will get at least $40 back off that purchase. That's a no risk purchase so definitely worth it for you to order and keep around until you decide, especially with the extended return period. Too bad mackage doesn't work for you! 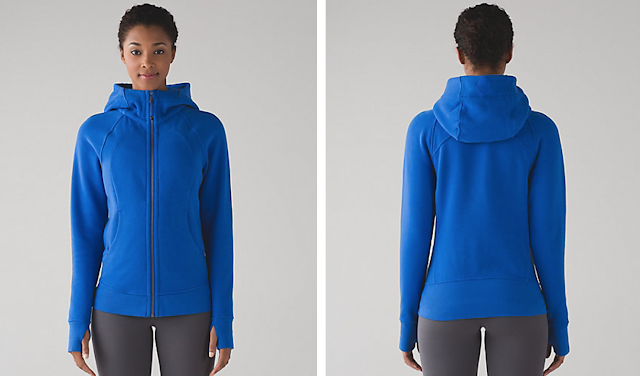 I just ordered a second lightweight down coat and they are SO cute. I do find they run small. 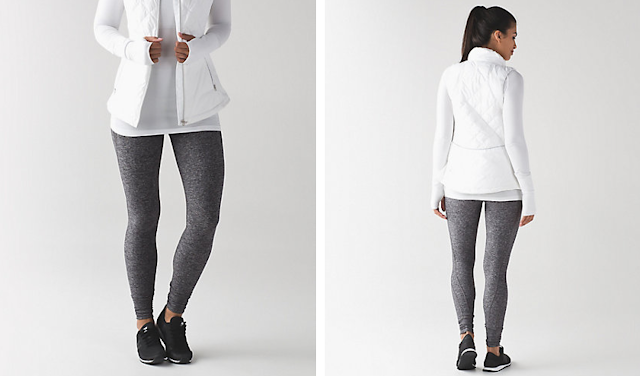 The lulu parka is super cute though so I hope that works for you!! 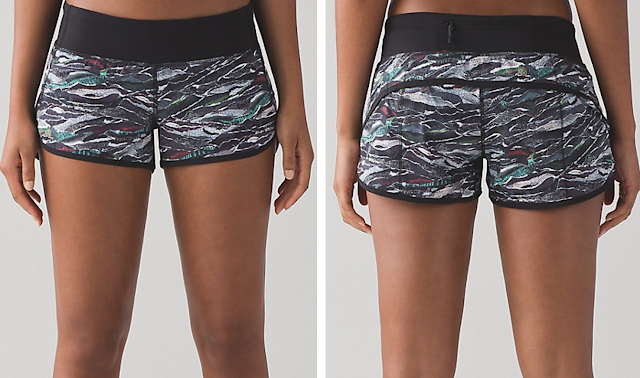 The Mini Sweatr print looks more like Camo to me. I'd actually be willing to try the Fast and Free tights in the sweater print, but the unfinished ankle hems are an absolute deal-breaker on a $128 pair of of tights. I love them!! 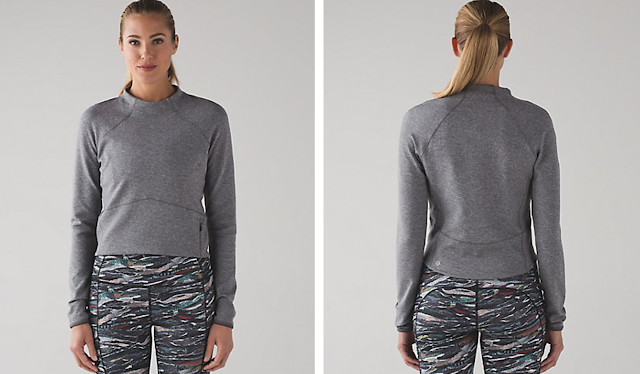 But what sweater print tight? you know they are desperate when they send you another email telling you they've just uploaded more WMTM products. eagerly checking them out. sadly nothing to buy. maybe next time, lulu. keep emailing me. 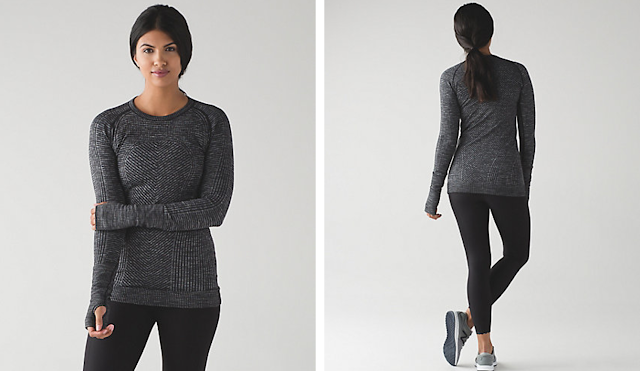 The Rest Less Pullovers look cute. I like the pattern and coral color. I'm a big swiftly fan. 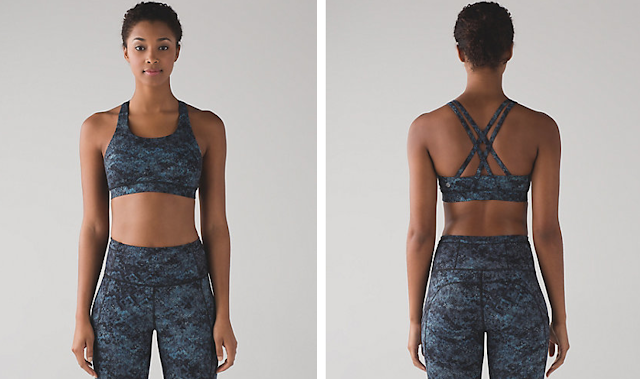 Anyone know how these two styles and the material compare? Are they similar in sizing? What about function? Thanks in advance!! I personally love the Rest Less PO. RL PO is a heavier material and I find it TTS but looser through the torso than a Swiftly. Thank you so much! I'll order online to try out in my usual size. 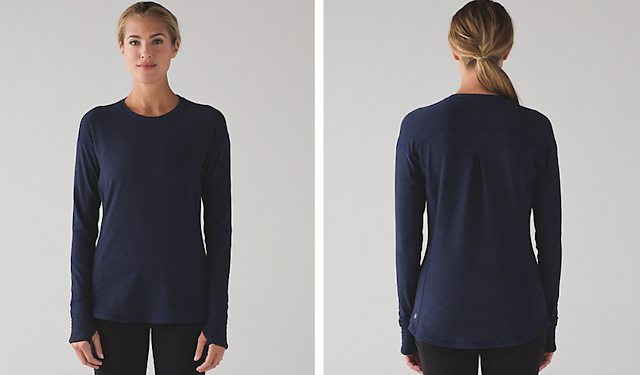 It'll be nice to have a heavier material long sleeve layering top. The Rest Less are heavier, but have less give than Swiftlies, so I don't like layering them under a sweatshirt type top. Under a vest is ok. Just my experience. I wear them a lot in winter for running under a Down For a Run vest, when just a Swiftly would be way too cold. Apple Pay is an apple creation with apple ios so you need an iPhone to use Apple Pay. Your version would be Android Pay but that's not part of Lulu's "offering". I was looking at the Fast Times crops yesterday and they had full size runs in all three colors. I checked again this morning at 6 EST and it was added to WMTM and is sold out in a ton of sizes including almost all sizes in black! Did people really buy this style out so quickly or did they hold inventory back?! Only thing I wanted. 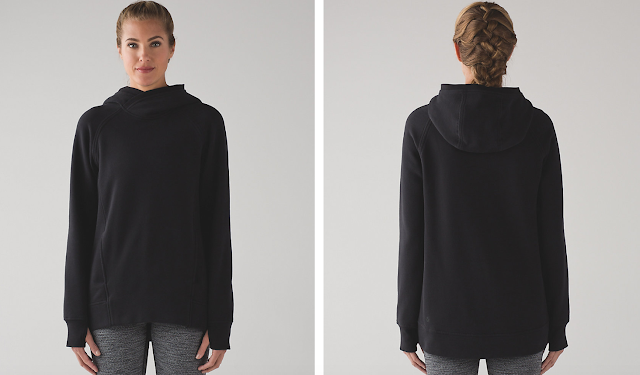 The Drishti Yoga Tote on WMTM on the US site shows a model wearing what looks very similar to the original Dance Studio Crops and a jacket I have never seen before. Please someone else check this out and tell me is it wishful thinking on my part, am I dreaming? I think I would faint if these were brought back and then I would buy a dozen pairs, have a glass of wine and call it the best day ever! The Run Around Tee is finally on WMTM at $59. from the ridiculous price of $74. but I saw it in store marked down to $44. although the light blue one hadn't been marked down in store yet and that's the colour I want. LLM where is the Fair Isle Rest Less Hoodie you mentioned, I have looked on US/UK/Cdn sites and can't find it, am I blind? As for the Fresh Tracks Pants, these are another pant/sweatpant made with thin fleece but I am holding out for sweats in a thicker fleece. I am looking forward to my deliveries (3) coming this week and hope I love everything I ordered. Did Canada get the fleece please pullover? I don't see it anywhere on the Canada side. It looks so comfy! 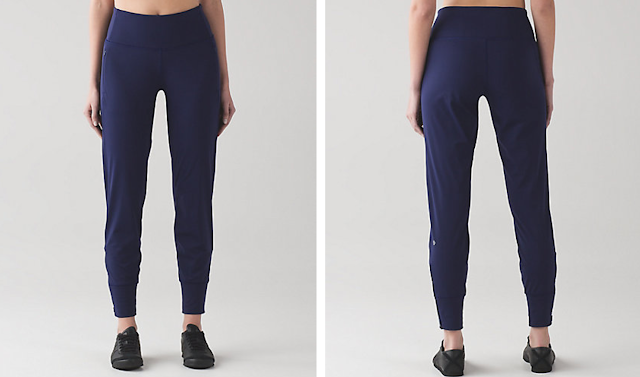 Has anyone seen the tech mesh tights that Hong Kong got last week? It's the only thing I've been wanting and don't know if they just haven't uploaded yet or they did and sold out. Love the blue fairisle print. My dream would be an original CRB style in that fabric (NULUX and all). I ordered the CRB II in super purple. I haven't tried the II yet, and I'm hoping that I don't totally hate it. I'm committed to never buying a $52 CRB, and regretted not buying the super purple when it went to mark-down before since I really love the colour. I'm pleased to have had the second chance. There were a few other things that I wanted in WMTM (Think Fast long sleeve, Run the World pants), but without having tried them on I'm not willing to take the risk. Does anyone own any of the Sherpa products? I have a toque and mitts in my cart but wondering how warm they really are. I have the hat and mitts from last years Boxing Day MD, and they are SO warm! Love them and they have held up well…. I just got my Sherpa stuff and they are absolutely ahhh-mazing. I got the Snood (really, the best item – it's perfect for serious winters, super cozy and thick and really high quality). 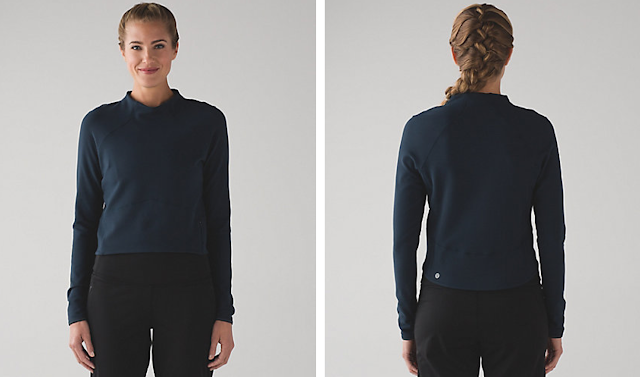 The merino wool outer is very soft and almost silky feeling – zero itch factor for those that are worried about wool. The sherpa inside is fantastic. It looks and feels very high quality. The mitts are wayyy better than last year's "Snow Amazing" ones (which I also own in the white/black pattern). This year's version is thicker and warmer than last years and a bit longer/bigger. I have long fingers and last year's mittens verged on creating a tiny gap where the fold-over was. Overall, this year's mittens feel more substantial and warmer and have a nicer fit. I also got the toque, which is similar great quality but may feel every so slightly snug if you have a bigger head. It's very thick and warm though. Overall, I think this is the nicest run of sherpa they've put out in a few years. Their merino sweaters this year have been amazing. Silky feeling with no itch, like you said. 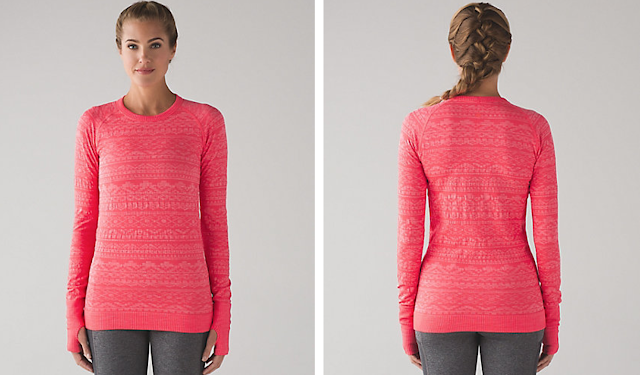 I didn't realize the sherpa items where merino knit on the outside. LLL really needs to figure online credit card payments. I was trying to pay for my order and I kept getting an error message. I had to log in with PayPal and pay. Looks like each time there is a high number of transactions they have issues processing the payments, grrrrrr. 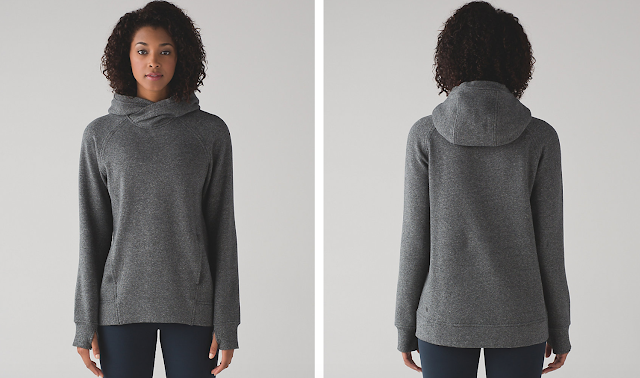 I've been wanting a rest less pullover but the comments about the sizing being off and inconsistent sizing between colors has held me back. I wanted the white one but it was sold out in my normal size and I was afraid of sizing down because people were complaining about the shoulders/arms being tight and that's my "problem area" to begin with. Not a fan of the fair isle print personally. Bummer. But I actually have gotten a number of items in the past few days after not having bought anything for months. Got the grape split hoodie, insculpt jacket, runderland gloves and neck warmer, and 2 rush hour jackets (sapphire & white). Also bought some things full price because I'm just desperate for warm weather gear. Got the fresh tracks half zip and tights, and a pair of the first mile tech tights as well. With ebates at 10% I'm really happy I waited to splurge! Oh. 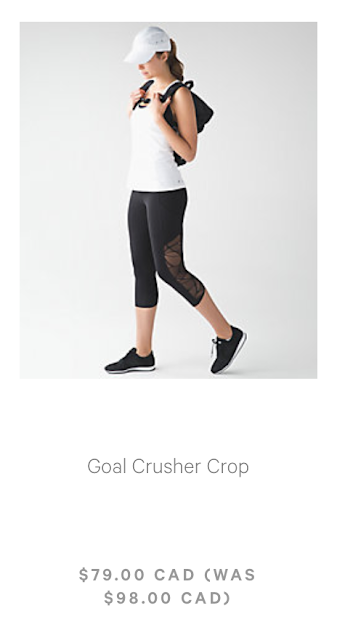 AND I just ordered those knit speed tights that were just uploaded. They look promising. I love my rush hour jacket, got the black on md and so glad I did. Wear it a lot! So sad 🙁 I missed out on the Split Pullover for 49.00. What an incredible deal for those who got it. I just called a store and got some amazing customer service. They had 2 Split Pullovers in stock marked down to 89.00 and they price matched the online 49.00 each. 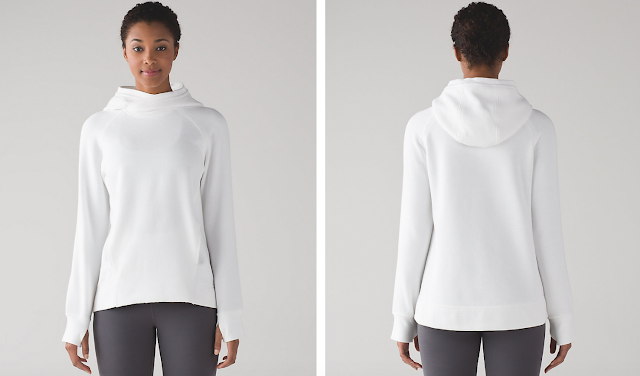 I just got mine and it's a super basic pullover. 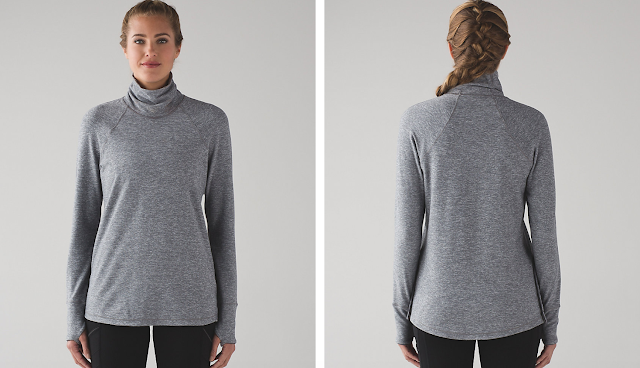 The French Terry is soft but thin. Overall I don't think it's a "steal" for the quality. Exactly, Michelle! Same can be said for most LLL these days to be frank. I was the one asking about the Runder Unders a few days ago (thank you to those who responded helping me remember the name! 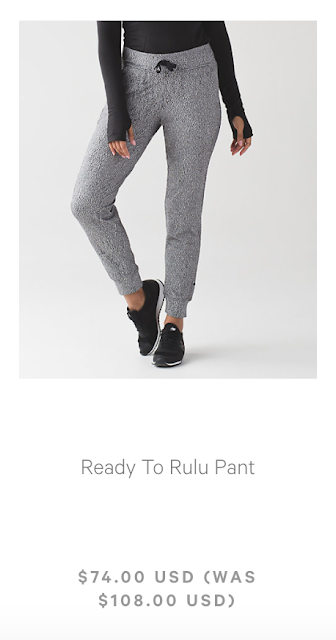 ), so I'm excited about the new Rush Hour tights since they are Rulu. Picking up those in the heathered black and the Think Fast longsleeve from WMTM. 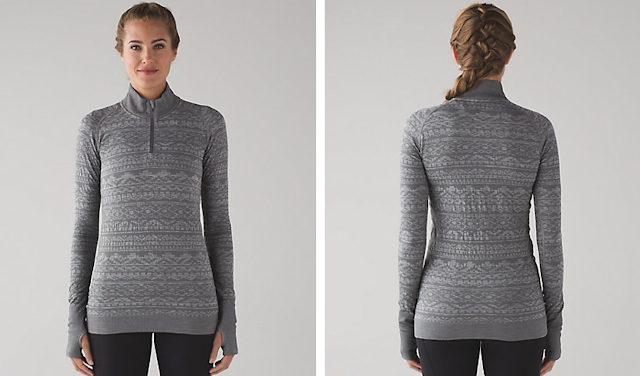 Debating the Rest Less 1/4 zip in grey too. 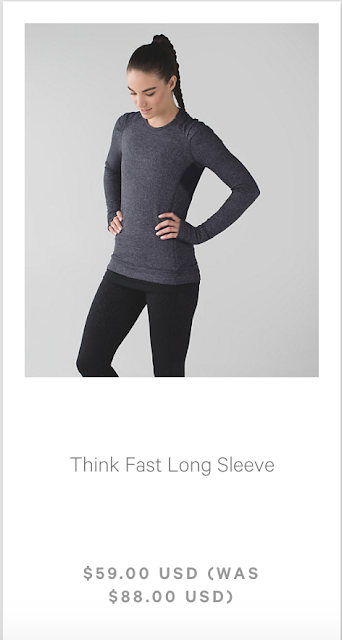 I ordered the Think Fast long sleeve, I love the herringbone print and the shoulder details of it. Can you please tell me what is the "Boxing Day"? 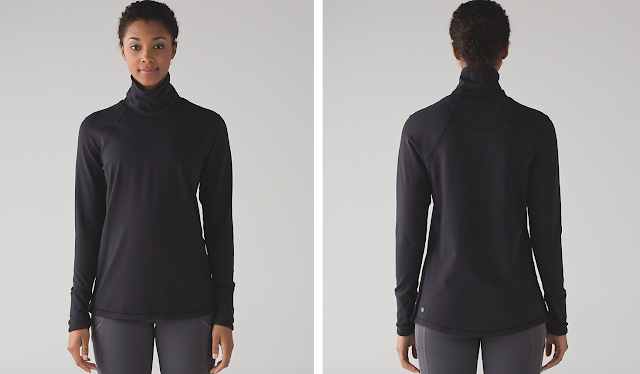 I can't decide on the run fast neck warmer or the runderland neck warmer…any comparisons?